Updated 5:30 PM ET to add video. 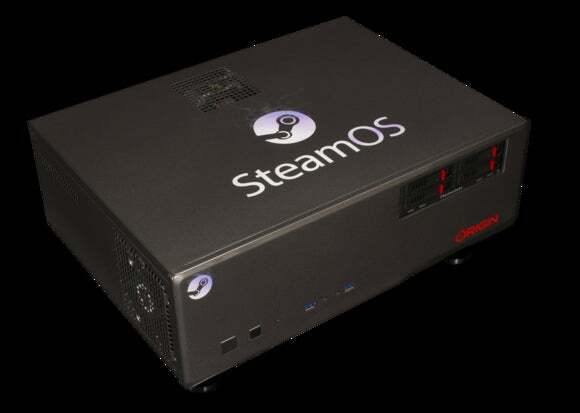 LAS VEGAS— Valve is fomenting a revolution in the gaming industry with its Linux-based SteamOS game-oriented operating system. The battle cry: Give us a truly open PC-gaming architecture! 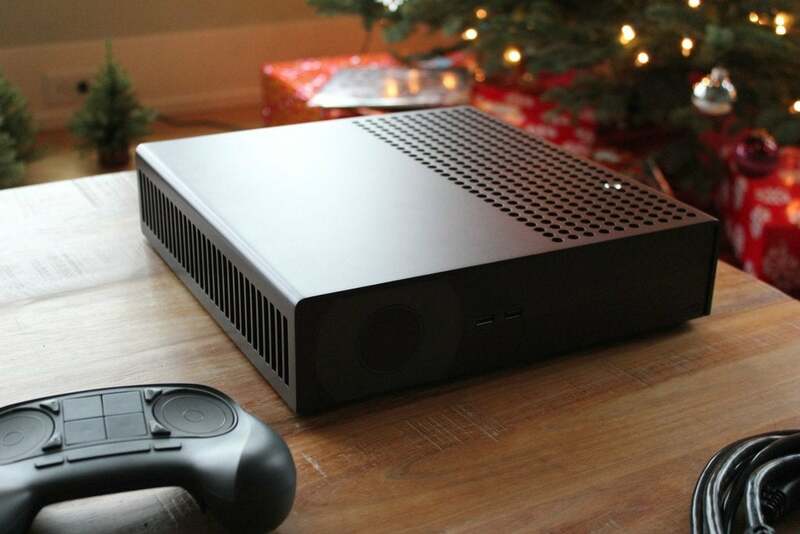 And at an event Monday night, the game developer announced that some of the biggest names in the boutique PC building industry—including Digital Storm, Falcon Northwest, Origin, and yes, Dell’s Alienware division—will answer Valve’s call to arms by building Steam Machines. The impetus for SteamOS, according to Valve president Gabe Newell, stems from the rise of closed-architecture video-game consoles. While he didn’t mention any products by name, he’s obviously referring to Microsoft’s Xbox One and Sony’s PlayStation 4. Where anyone can develop and publish a game that will run on a PC—or a Steam Machine—Microsoft and Sony tightly control which games are allowed to run on their hardware. This stifles innovation and limits consumers’ choices. “Each [partner’s Steam Machine] represents a different take on the right approach for their customers." But Valve’s motives aren’t as altruistic as they might seem. Microsoft largely ignored PC gaming in the early days of DOS, but later developed its DirectX initiative to make it easier to develop games for Windows. Since it entered the video-game console business with the Xbox, Microsoft’s interest in PC gaming seems to be one the wane. As Newell mentioned last night, Valve currently has 65 million customers using its Steam game-distribution service. You can bet the vast majority of those customers are using Windows, so the company has much to lose if PC gaming falls out of fashion. Gigabyte's Brix Pro packs Intel's top-of-the-line Iris Pro integrated graphics. 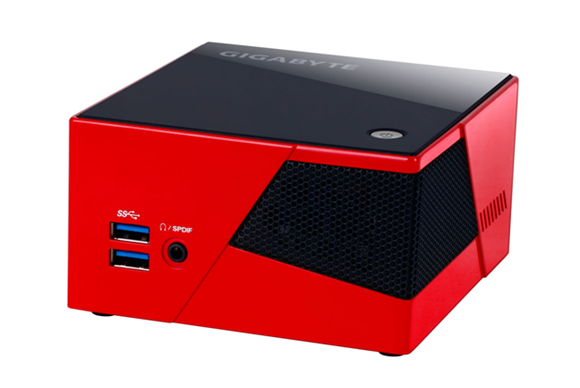 Gigabyte’s Brix Pro, meanwhile, resembles Intel’s NUC (Next Unit of Computing) and will rely on the Iris Pro graphics processor integrated into the machine’s Intel CPU. It obviously won’t be as powerful as the Chronos, but it also won’t be as large or as expensive. Where the Chronos will likely compete with gaming PCs that run Windows, the Brix Pro will compete with game consoles such as Microsoft’s Xbox One and Sony’s PlayStation 4. 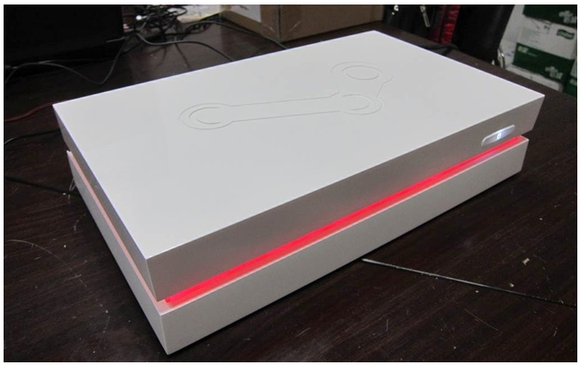 Valve's own Steam Machine prototype won't be available at retail, but it sure is purdy. Valve, meanwhile, has built a prototype Steam Machine and given a few of them to beta testers, but Valve president Gabe Newell reaffirmed at a Monday-night press conference that the only hardware Valve intends to sell at retail—and presumably to its partners—is its highly out-of-the-ordinary touch-sensitive gamepad. Perhaps more importantly, Newell didn’t mention a single major game developer that has committed to offering triple-A games that will run on SteamOS, though that problem is maybe alleviated by SteamOS's upcoming streaming capabilties. Aside from the gamepad—most PC gamers prefer to use a mouse and keyboard—Valve assumes very little risk with this gambit, but stands to earn fortune if it pays off because it owns the distribution channel. 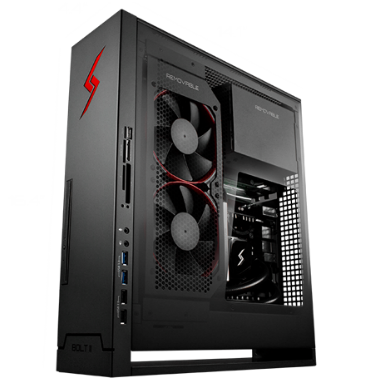 Digital Storm's Bolt II looks like a traditional PC and will dual-boot Windows and SteamOS. A Steam Machine builder, on the other hand, needs to design, build, market, and sell an entire computer that runs on operating system many consumers will be wholly unfamiliar with. While these companies could hedge their bets by making dual-boot rigs that can run both SteamOS and Windows—in fact, Digital Storm's Bolt II does just that—that Windows license will inflate the retail price of the computer. But when all is said and done, the success of SteamOS and the rise of the Steam Machines should be a very positive development for those of us who play games. Even if a lot of the games turn out to be crap, we’ve seen indie game developers flourish thanks to Steam—and we’ve played some great games that would have never reached the market under the old publishing model.